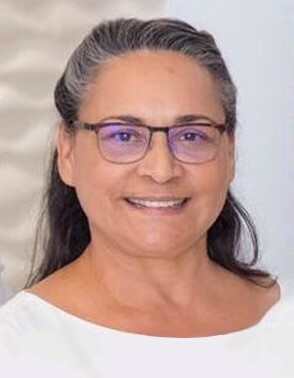 Jacqueline Smith is Cayman’s first Physical Therapist, consistent community advocate, lactation consultant, Lamaze childbirth educator, Doula, mother, grandmother and well- known friend to many. Ms. Jacqui serves as the Managing Director of Beyond Basics Medical Spa, and is responsible for the tremendous success of the business. A true entrepreneur, (she owns two other businesses, RVC Physiotherapy and Chiropractic Services and Tomlinson Furniture and the Mattress Gallery), Jacqui makes every effort to upgrade the aesthetic services on island so that no one will have to travel abroad to receive such treatments. Being a Baby Boomer herself and having contacts with so many people and families in Cayman, Jacqui felt that, while no one can stop the aging process, there should be a way to help people age later and age gracefully; to teach them how to take care of their biggest organ, their skin. She researched the various devices that were on the market and determined the elos technology by Syneron was unsurpassed in quality. “Syneron was best for all Fitzpatrick types, it was FDA-approved, it was safe and there was minimal or no down time and afforded great results.” Jacqui is trained and certified in the use of all the Syneron laser equipment and in all the cosmeceuticals that Beyond Basics carries, Obagi, Repechage, Image and jane iredale skincare makeup. Aesthetic Enhancement International Institute by Barbara Jones also certified her in performing chemical peels and microdermabrasion and she is Laser Certified Operator/Aesthetics by the National Laser Institute in USA. Her love for good skin care and for her country have now driven her to work along with the Cayman Islands Government to create Cayman Career Academy, where Beauty Therapy Courses leading to CIDESCO qualifications can be acquired by the islands’ local people and all spas can find world class therapists to choose from locally versus having to import labour. It is her dream that through the Academy other career opportunities will arise for students to embrace.